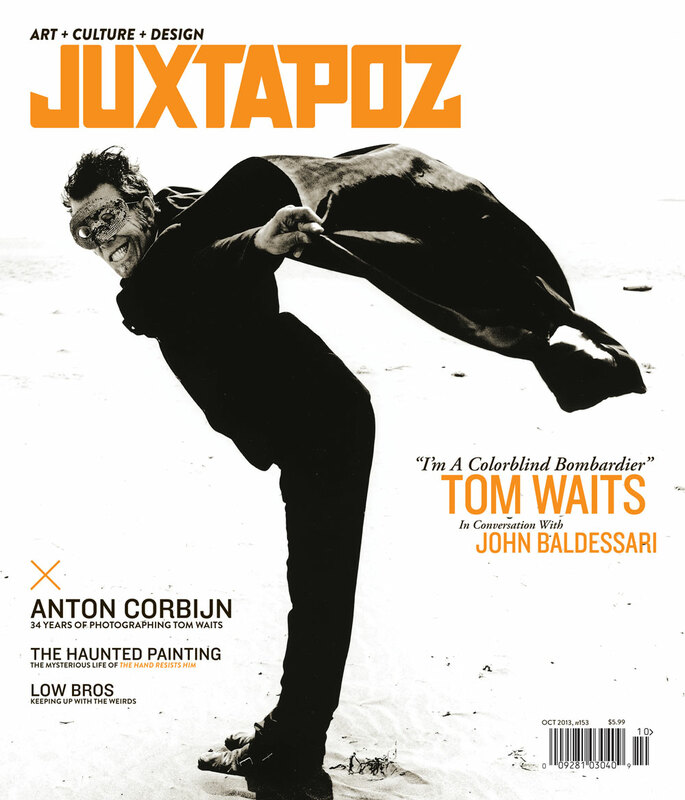 Tom Waits is on the cover of the new issue of Juxtapoz, and he’s interviewed by acclaimed artist John Baldessari, the guy who used colored dots to obscure the faces of people in his art. Baldessari also once made a video in which he wrote, “I will not make any boring art” over and over. Tom Waits narrates this excellent video about Baldessari. Dig it.